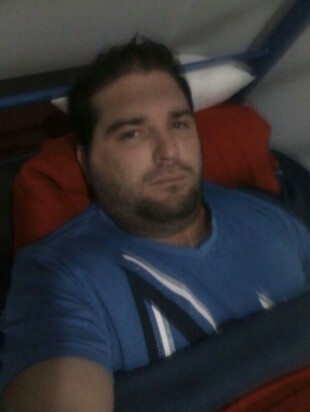 COSTA RICA NEWS – A Cuban man who spent more than a month (34) days in refuge inside the Juan Santamaría (San José) airport has been sent home, to his native country of Cuba, after being refused entry into the country. Immigration officials emphasized, Yorvanky Pérez de Piña, was not deported, but “rejected” from entering Costa Rica Friday morning. “Mr. Yorvanky Pérez de Piña left this morning to his home country (Cuba). The man was not deported, but rejected,” Heidy Bonilla, Costa Rica’s immigration press officer, told AFP. Despite the man smearing himself with his own feces to try to avoid being removed by force, he was led out of the airport in handcuffs and onto the awaiting flight by immigration officials. Yorvanky Perez de Piña was put on a plane to Cuba, “handcuffed,” guarded by two security agents and accompanied by a doctor, Perez’s Eduardo Flores lawyer said. Flores said that Costa Rica’s decision adheres to the law but does not respect human rights, since Perez fears for his life back in Cuba. Costa Rica’s government should have given Perez a humanitarian visa or time to seek acceptance by a third country, his attorney said. Perez, a resident of Costa Rica since early 2012, was refused entering Costa Rica after returning from a trip to his native country. Costa Rican officials say he had neglected to renew his residency documents after they expired. Despite being married to a Costa Rican woman and running a small business in the country, the Cuban never applied for permanent residency and eventually rejected his application for refugee status. The 35 year old Perez arrived at the San José airport on April 24, but immigration officials believed his documentation was falsified and denied him entry. During the next 34 days, Perez wandered the secured area of the airport. Yorleny Marín, Perez’s Costa Rican wife, told the press that her husband was being forced to live in poor conditions. Perez told Costa Rican officials that being an activists of human rights in his country, he requested political asylum. The asylum was rejected on Thursday by the Foreign Ministry. With the rejection and the denial of immigration officials for entry, Perez was ordered expelled. “I do not know what will happen to him in to Cuba,” said Marín, who said fears that her husband will victim of retaliation by Cuban officials.